If you have a traditional masonry fireplace, there is one type of glass door that you should be looking into, and that is the Pleasant Hearth Alsip Fireplace Glass Door. 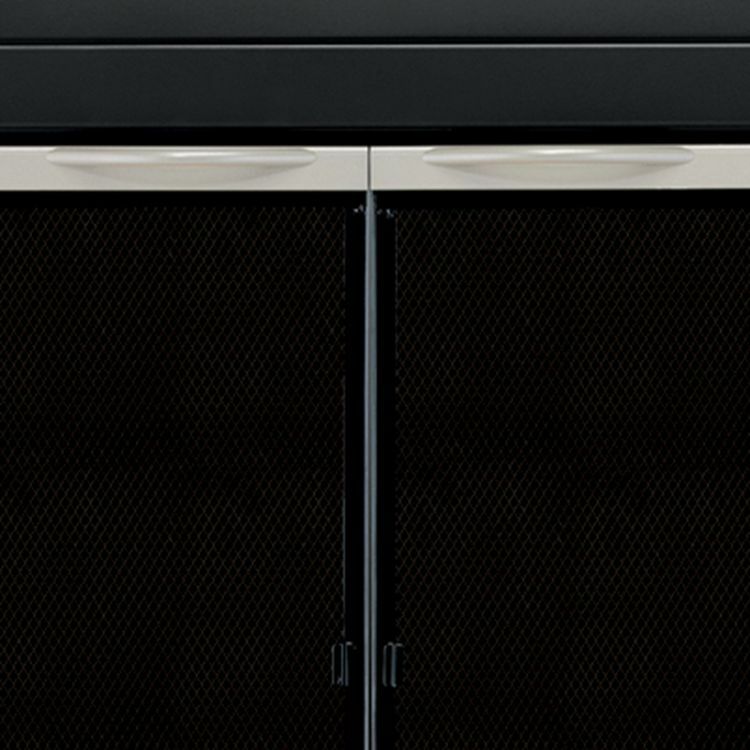 This decorative cabinet style door finished in a high heat powder coat finish designed to be highly functional and stylish at the same time. Sizing Guide | Buy on Amazon | Read Amazon customer reviews! 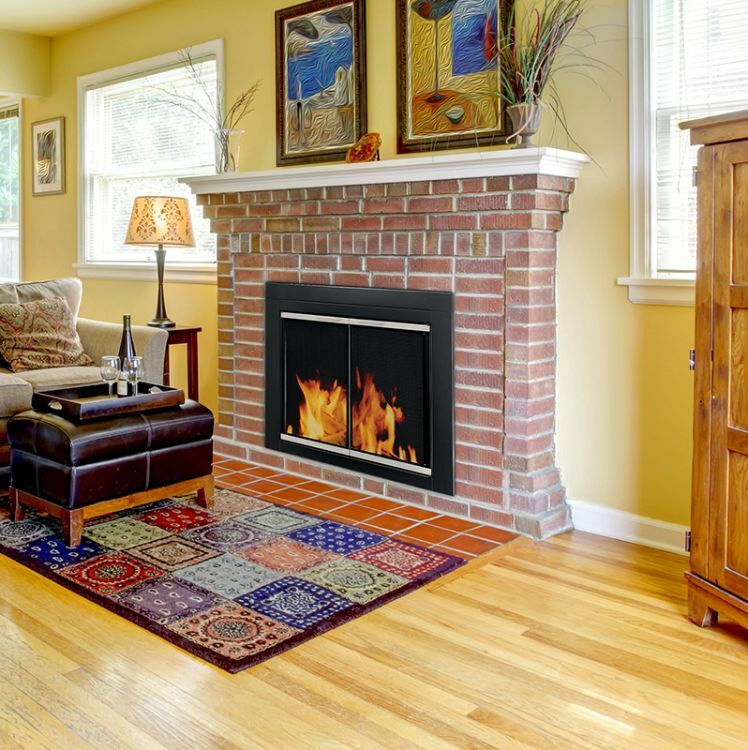 The Alsip Pleasant Hearth Fireplace Door is a one-piece frame door that sits outside the fireplace opening against a flat surface, reducing the loss of heat up the chimney by as much as 90 percent when the fireplace is not in use. As a result, providing great savings all year long. These fireplace glass doors come in different dimensions depending on the size of the fireplace, and you should make sure you accurately measure your fireplace before ordering the glass door. It’s easy to see what the pros of this glass door are. For starters, it is effortless to install. Even though you are not too keen on DIY projects, installing this fireplace glass door will be so easy since it comes fully assembled, and the installation instructions are self-explanatory and straightforward. At a price of $269.00(RRP), these glass doors are also pocket-friendly. Another great thing about the Alsip Fireplace glass doors is that they are the perfect combination of functionality and style. Not only do they help you conserve energy, they transform your traditional fireplace and give it a look of elegance. Perhaps the only con of the doors is the fact that only suitable for a traditional masonry fireplace, which means other people with other types of fireplaces will have to look elsewhere. Can you use the glass door to disguise a not-so-pretty fireplace? 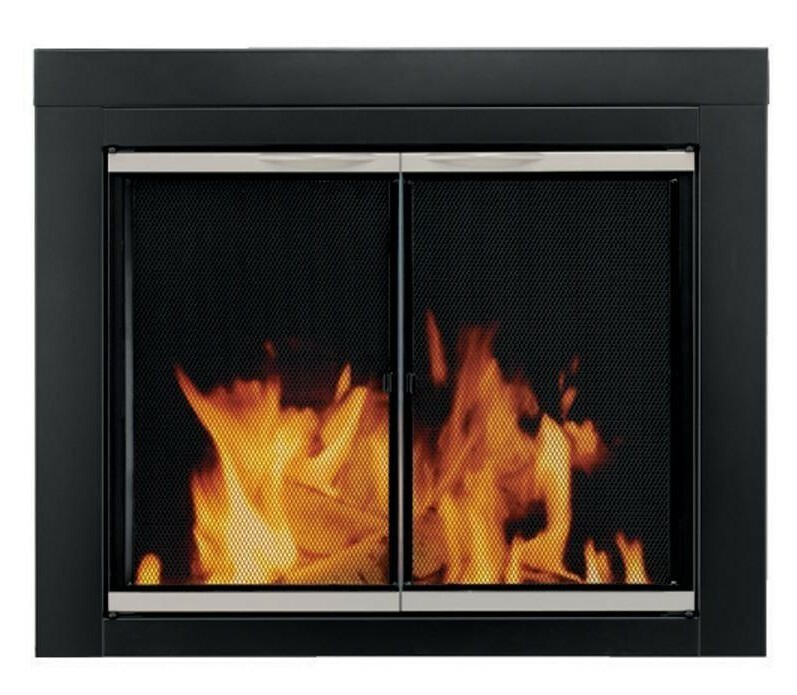 The fireplace door is dark enough to make it harder to look into a fireplace that is not being used, while at the same time clear enough to allow you to see flames in the fireplace. Does this glass door fit well on a granite fireplace? As long as the dimensions of your fireplace match the door dimensions, and there is an area for the door to grip, you can install the Alsip glass door on a granite fireplace. How long will you take to install the glass door? You should be able to install the door in under one and a half hours, and if you are working with someone you can slice this time further. Is this glass door only for wood fires or gas fireplaces? You can use the Alsip glass door for both wood fireplaces and fireplaces that use gas, except the door will serve different purposes in each type of fireplace. For the gas fires, since you can turn off the gas, the glass door will serve mainly to transform the fireplace area into classic elegance. While the wood fireplace will require the door mainly for safety purposes. 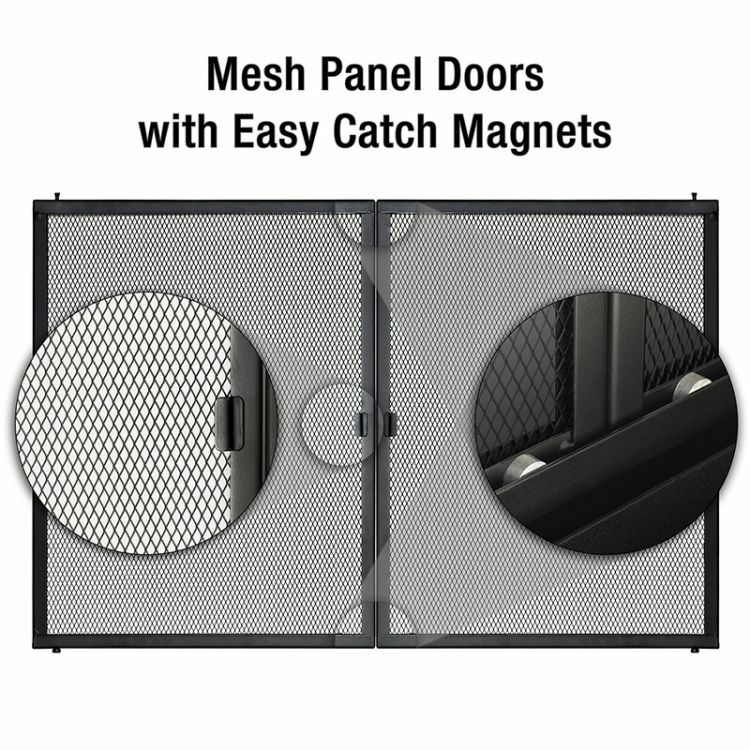 If you want to have one of these glass doors protecting your fireplace, make an order today and you will have it shipped for free, within a matter of days. The fireplace doors come with a one year warranty from the manufacturer. Transform your fireplace into something elegant and stylish, and give yourself the peace of mind of knowing your fireplace is protected at all times by getting yourself a Pleasant Heart Alsip Fireplace Glass Door.